Meet the ScreenFlow-er: Deyson Ortiz. Ortiz is a talented video creator who creates animation templates for Final Cut Pro editors. He uses ScreenFlow to teach his users how to use his templates by creating tutorials with screencasts. ScreenFlow allows Ortiz to create customized tutorials that can be watched at the convenience of the editor. I am a video editor, instructor, and I also create animation templates for Apple’s Final Cut Pro & Motion Software. I have been a professional video creator since 1993. I create about 1-2 screencasts a month and I also create short tutorials to help people learn how to create their own animations. ScreenFlow has been the only screen capture software I have used since I first began to record screencasts. 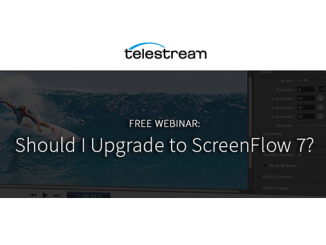 I had tested other tools, but ScreenFlow had the most features, ease of use and Telestream is a company that had earned my trust years prior to my purchase. For what purposes to do you make your screencasts? 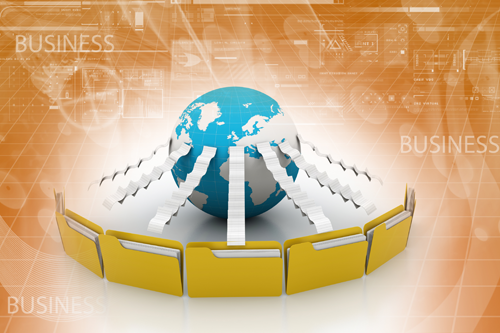 Who watches your screencasts, and how do they access them? The reason I create screencasts is to show template users how to use the animation templates I created. Each template has its own parameter controls so each screencast is unique. 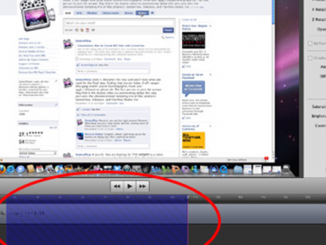 Every screencast video can then be viewed on the page that pertains to the template. Before I begin a screencast, I like to go over what I want to present a few times before I begin to record to help relax me. If it is a long tutorial, I like to create some notes in Keynote to make sure I don’t miss anything important. Also, I like to break down the tutorial into smaller parts; this way I can review what I had recorded and I can take a little break. This makes it much easier to record since I break it into shorter tasks. 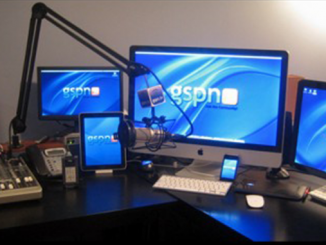 What do you find to be the most challenging aspect of creating your screencasts? Why? The most challenging thing for me is more mental than anything. I still get nervous when I sit down to record. I just have to remind myself that it will only get easier once I get going. I was much less confident when I had first started 6 years ago as I was just used to being behind the scenes as a video editor. I use Final Cut Pro to edit my final video and ScreenFlow for the primary edit. First I use ScreenFlow, since it has a great editor, to get the video ready. In ScreenFlow, I turn on the Radar Effect for the mouse clicks, turn on Smooth Audio Level, scale up the mouse cursor, and then use zoom action if I need to get more detail on certain parts of the video. Next, I use ScreenFlow to make rough edits. Finally, I export the video and inside of Final Cut Pro I do the final edit. I use Final Cut Pro, as it is the tool I do most of my video editing with and I am comfortable with it, as I have used it for close to 17+ years. I also use Vimeo to host my videos. I am a big fan of Vimeo because the videos look great and I can customize the video player. Plus my viewers do not get distracted with advertisements. What kind of studio or set up do you have? My studio is minimalist. I use my Laptop and my Rhode USB Microphone. The reason for this is that when I need to travel I do not want to carry much. I use the Rhode Microphone because it uses a USB connection, it has a microphone port to hear myself while I record and I think it sounds and looks great. Also, if I need to record something quickly, and I do not have the Rhode Microphone at hand, I use my Apple EarPods which have a microphone built in. I am very impressed with how great the EarPods sound. Plus, when I plug in the EarPods I have the option to reduce ambient noise in my system settings. I also use my Audio-Technica headphones for monitoring and audio sweetening. What advice would you give to other screencasters or video makers? My advice for video makers and screencasters is to just get started. 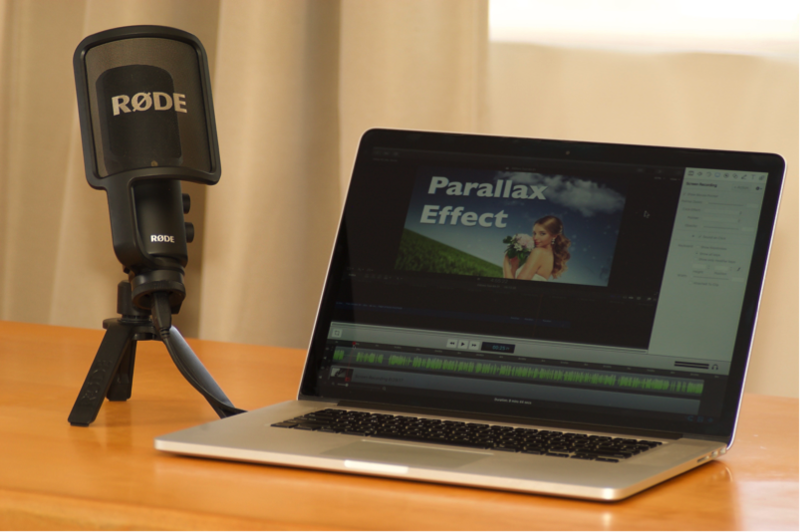 Get the best microphone you can afford and start recording. If you are nervous, the best remedy is to just feel the fear and do it anyway. Eventually, you will get less scared and you will get more comfortable with your voice. It is funny when I got back to my first videos and listen to them. It is amazing what 6 years of practice can do. If you would like to learn more about me, you can visit Deyson.com and if you would like to download free templates for Final Cut Pro & Motion, please visit MotionMasterTemplates.com.